The Pisa lipstick features an elegant slanted design related to luxury and glamour, it makes it stand out from the rest. The cap and base are made out of ABS. Toly's manufacturing capabilities offer a wide range of decorative techniques that can be applied to fit any brand's needs. For more information please send us an enquiry. Toly are introducing their new Flapper Jar ideal for thick viscosity products such as body lotions and creams. Toly is introducing their new Brow Collection: available with a variety of different sizes and applicators. T26 Airless Dispensers were designed for ease of use and to fit a range of applicators which is ideal for various formulations. The dispensers are composed of PETG+ABS. To celebrate Valentine's day, Toly is showcasing their Valentine Trio palette. The Duo Slider was designed with ease of use in mind, such as opening with a single hand gesture. The Slender Palette was created specifically after research indicated frustration when using clutch bags. Not only is it the slimmest of its kind, it fits nicely in the hand and it's sleekness and elegance makes it stand out from the rest. Toly are presenting the Athena line which is manufactured in our Toly China plant. These stock compacts are available in 3-different sizes and have been designed with an integrated mirror. Toly developed the TK51, a 2ml lip gloss pack, which echoes with the trend of mini-packaging that's causing a hype in today's market. 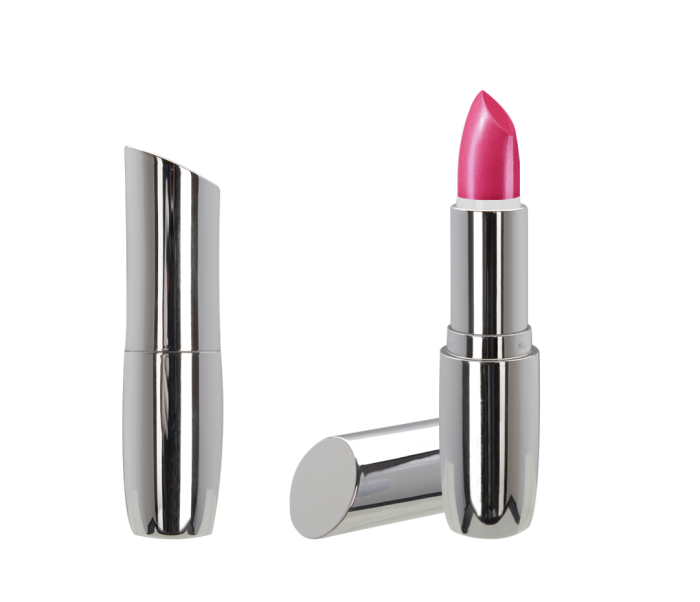 This innovative packaging is ideal for trending lip products such as melting lip powders, a current favorite which is applied as a powder, and melts into a tint. Our latest addition is the Quadro Lipstick pack, the sleek squarelipstick not only gives it an elegant look but also gives it a luxurious feel due to it’s smooth torque. Toly takes Loose Powder Jars to the next level! Toly are known to be solution providers and also know that women encounter frustrations when applying loose powder as it can be very messy and impractical. With the launch of their latest designed loose powder jars, Toly ensure an easy and practical solution. Mecca jars have a chic and luxurious look due to their distinctive, ridged collars. These jars are ideal for various formulations and are available in 20ml and 50ml. Toly are presenting their latest luxury soft square cushion compact. This new addition compliments their vast range and allows the selection of compacts to remain innovative and on trend. This sleek compact is a slimmer version of the traditional cushion compact, which incorporates a magnetic closing system allowing it to remain elegant whilst also being practical and portable for the user. Toly are presenting their stylish lipgloss featuring a playful and elegant ‘V’ design related to glamour. Creativity, trends and innovation are what make Toly's packaging exciting. 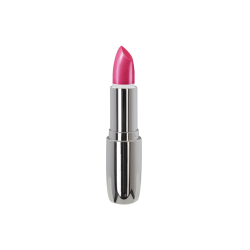 This lip gloss pack stands out from the rest by visibly portraying the image of a lipstick bullet. Toly Launches its new Rizuko Palettes! Rizuko is an elegant design with a full-sized mirror to stand out from the rest, and can easily be personalised in line with your brand needs! Toly, one of the world’s leading luxury packaging manufacturers in the cosmetic, fragrance and skin care industries, launches the Daisy Jar - a double walled jar with a chic and luxurious look, offering all the enticing aesthetics and clarity of glass. Toly’s latest Hydra Mist Airless Spray Pump diffuses the liquid formulation into a fine cloud of mist. The T2 Spray pump is ideal for applying formulation evenly upon a large area. Toly’s latest Dual Chamber Dip Tube enables brands to combine two types of formulation in one pack. The dual pump allows the user to dispense the two formulations either at once or separately while customising the mixture and dosage. Toly is introducing the latest 'All Eyes On Me' Dual Pack. Thanks to its Nomadic style, 'All Eyes On Me' is an ideal pack for eyes and brows. The combination offers a complete solution for the 'Urban Lifestyle' users. Toly’s Sweet Chubby Stick is positioned as one of the most versatile cosmetics. It can be used for lipstick, lip exfoliator, contouring or highlighter stick as well as any solid parafil. Toly’s Click & Go Pen is aimed for the women-on-the-go. It is ideal for a wide variety of formulations such as a concealer, liquid bronzer, liquid eyeshadow and lipgloss. Multiple combinations may be used including; Lipstick & Lipgloss, Lip Scrub Stick & Lip Oil, Concealer Stick & Liquid Concealer or Highlighter Stick and Liquid Highlighter. Multiple eyebrow looks can be achieved thanks to the dual ended twist pen. The brow brush helps increase the eyebrow volume, while the brow stick increases the brow definition. 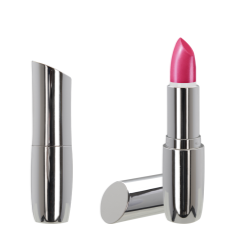 Toly’s new Duo Combo Pack targets the constantly growing market of women-on-the-go. Rather than purchasing two packs, the user can obtain a combination of Concealer & Eye Balm, Lipstick & Lip gloss or Liquid eye-shadow & eyeliner/eyeprimer. Ideal for a variety of different formulations such as lip balms, blushers, highlighters bronzers and concealers, the smooth twist action gives the user increased control and easy application when applying the formulation. Toly have created a miniature sized travel bottle which includes a spatula for easy application. The TK54 Line is ideal for the woman on the go and it is suitable for a variety of different formulations. Contouring has never been easier with our dual ended stick. These type of Chubby Sticks have become a 'Must Have' in Millennial's make-up collections due to their multi-functional nomadic style. Driven by the continuous trend for palettes, Toly have added a new, elegant and functional palette to their existing range. The new Multi-Pan palette contains a total of 12 different eyeshadows. In line with the constant demand for novel opening systems, Toly is launching Twist Gloss, a new heavy-walled lip gloss pack with a revolutionary opening system. One of our finest designs is the 'Slice' compact. With its versatility a different look can be achieved depending on the colour, decoration and texture used. Toly have developed the T-10 airless pouch dispenser. It has an integrated side button, making it easy to dispense, the five layer inner pouch (PE+AL+PET) is ideal for various formulations such as formulas for hair colouring as well as skincare and make-up. Maya is the newest addition to Toly’s line up of compacts. The “distinctive and practical” yet “sleek” compact is claimed to be ideal for products for lips, brows and eyeliner.